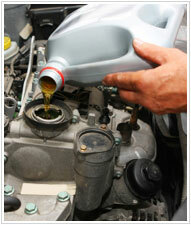 IGLs products for the automotive sector include brake fluid and anti-freeze coolant. The company has ensured that both products adhere to the strict quality norms required by Indian and international companies. M/s Sulzer Chemtech, Switzerland. IGLs facility is the largest and the only continuous process glycol ether plant in India ensuring consistent quality. The company manufactures DOT-3 and DOT-4 grades of brake fluid as per international specifications and is approved by ARAI, Pune, a leading automobile research institute in India. The companys product range includes DOT-3 and DOT-4 brake fluids under the IGDOT brand. Components for brake fluids such as PEG, DEG and higher glycol ethers are also available. The companys anti-freeze coolant is supplied to major oil companies and the Indian Ministry of Defence, meeting their stringent specifications.